Dance is the hidden language of the soul." I have seen a performance by The Martha Graham Dance Company many years ago in Paris and it was incredible captivating and beautiful. She was a modern dancer and choreographer whose influence on dance has been compared with the influence Picasso had on the modern visual arts, Stravinsky had on music, or Frank Lloyd Wright had on architecture. My uncle who was a modern dancer and choreographer himself has danced with and was influenced by her. It sure is. 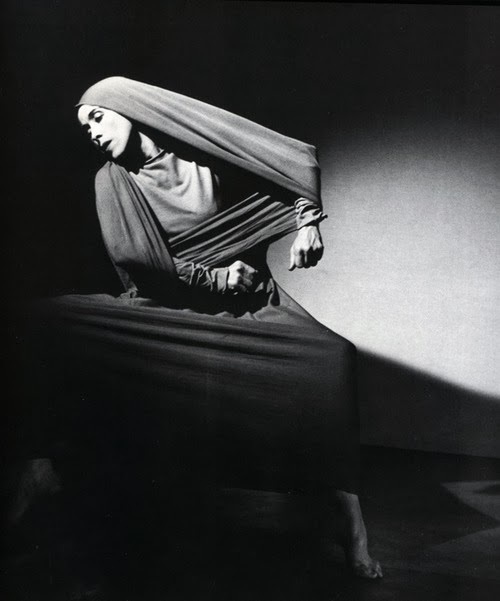 Martha Graham is amazing.